T-Fest in Elektra Events Hall buy tickets online. Delivery of tickets for the event T-Fest. 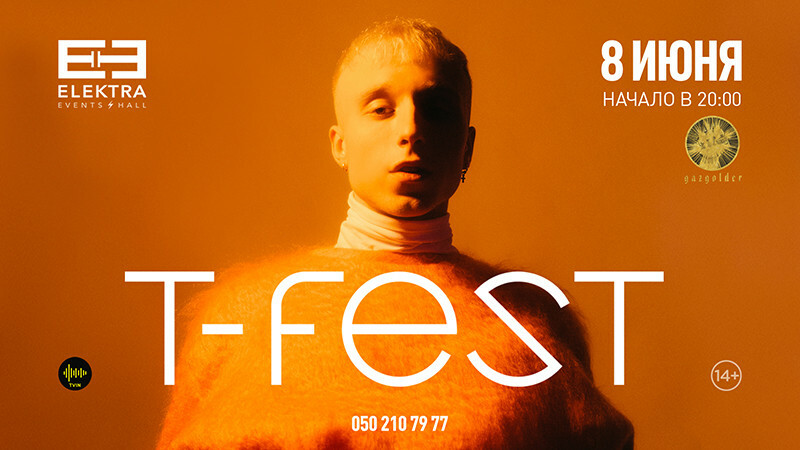 The first T-Fest concert will take a place in Electra Hall Baku on June 8. T-Fest musician, Gasgolder’s creative association rapidly broke into all musical charts in 2017 with two hit tracks, “Don’t forget” and “Fly away”. Young and promising T-Fist musician presents his new album “Youth 97”. In 2018 T-Fist released his third debut album “The Foreigner”, with such tracks as “Scandal” and “The Foreigner”. Also, he is known with his mutual with Scriptonite tracks as “Lambada” and “Multibranded”. Just reminding you that this is already Gasgolder’s second concert in Baku.